Jason Gregory is a spiritual philosopher, independent scholar, writer, and teacher specializing in the fields of Eastern philosophy, Western esotericism, comparative religion, psychology, culture, and ancient civilizations. He is an ardent traveler who has searched ashrams, monasteries, and temples in some of the most remote places in the world. As a result of his travels, Jason has lived in Asia for several years studying the philosophy and culture of the East and how it can benefit civilization in the modern day. Originally trained in the meditation practices and philosophies of Vedanta in Hinduism, Taoism, Confucianism, and Zen Buddhism, Jason’s curiosity with the perennial thread throughout the world’s spiritual traditions expanded his work into the exploration of the Western esoteric traditions of Gnosticism and Hermeticism and their underlying relationship to the East. Jason is the author of two books and the creator of one documentary. He is the author of the highly acclaimed The Science and Practice of Humility and the cult classic Way of the Weirdo, and the writer and director of the documentary The Sacred Sound of Creation. 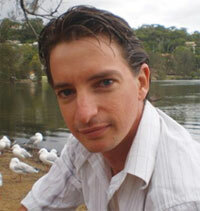 He continually writes articles for popular magazines and websites around the world. His work has been featured on hundreds of radio shows with his numerous guest appearances. Jason Gregory spends his time traveling, writing, and teaching around the world through his lectures and workshops centered on his work. His lectures and workshops are said to be one of the most insightful and inspirational events one can attend, as he reveals through his work that enlightenment is not an end goal that we are searching for, but instead a way of life which is an art of living. This understanding leads to the essence of his work that enlightenment evokes a humility which is a universal science.